At one time in its history this rural dwelling had been a substantial farmstead but had fallen vacant and into a bad state of disrepair over the years including unfortunate incidents of vandalism which damaged some of the historic features. Each of the rural dwellings in the scheme was constructed of traditional building methods and materials exhibiting the unique character of our vernacular architecture. 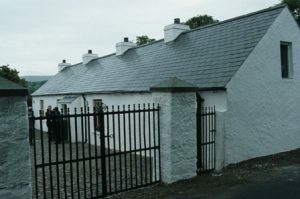 Ronan’s homestead dates from c1750 and finally found a new lease of life through the Mourne Homesteads Scheme in 2007 thanks to the co–operation of the private owners. The building was restored and adapted to provide modern family living accommodation whilst retaining the original features that make these dwellings so charming and culturally valuable. 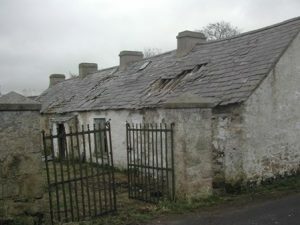 The Mourne Homesteads Scheme was conceived by Mourne Heritage Trust to address the loss of traditional dwellings across the province. The scheme successfully showcases how these vacant dwellings can be refurbished to provide 21st Century homes, increasing this unique typology’s chance of survival although many remain vulnerable to the pressure of replacement dwellings. 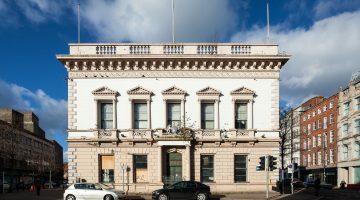 Private owners; Heritage Lottery Fund; Northern Ireland Housing Executive; NIEA Listed Building Grant Aid; Rural Development Council; Ulster Garden Villages; Esmee Fairburn Foundation and the Architectural Heritage Fund.